STOMP, CHOMP AND READ! 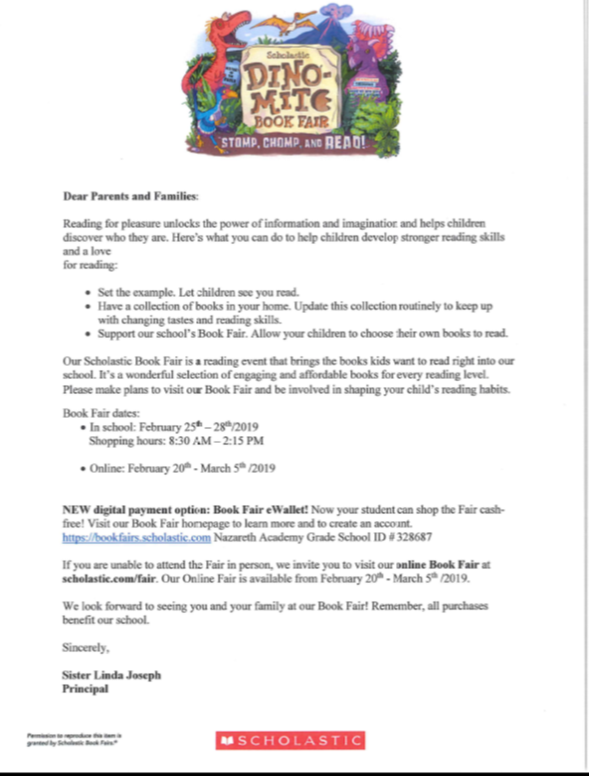 Students and parents are welcome to browse during the school day at the SCHOLASTIC BOOK FAIR at NAGS from February 25 - 28th. We appreciate your support of the fundraiser, organized by Sister Nahida, Miss Young and our parent volunteers.